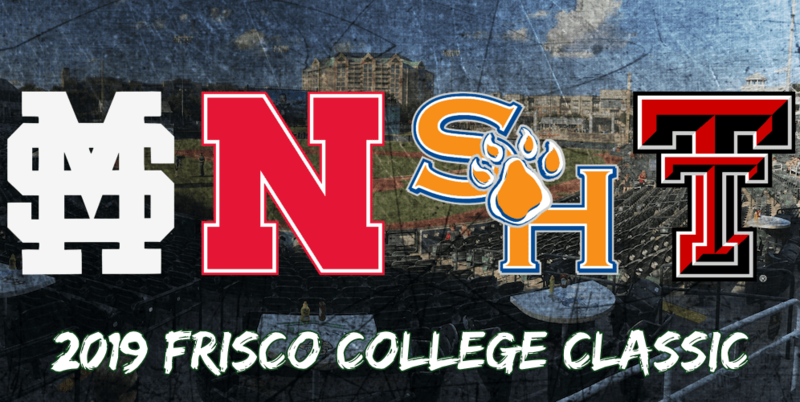 The Frisco College Baseball Classic will bring together four of the top programs in the country in March. To get you ready for the season, we’re giving you a sneak peek at our fall reports for the teams that will be playing in Frisco. 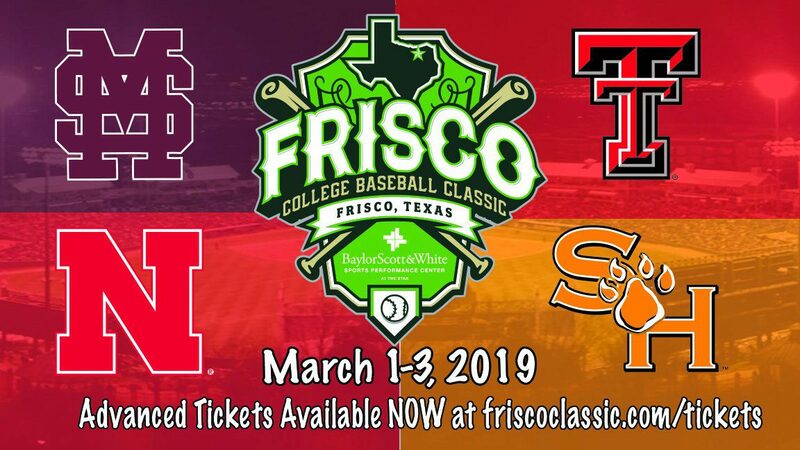 Tickets for the Frisco Classic are available now, and we’ll have a more in-depth look at the field in February. To read the complete fall reports on these four teams, as well as all of our other fall reports, and get our unsurpassed coverage all season long, subscribe to D1Baseball today! After making three regionals in four years from 2014-17, Nebraska crashed to 24-28 overall and 8-14 in the Big Ten last spring, as injuries piled up and the Huskers simply were not able to overcome their attrition. Most notably, key pitchers Chad Luensmann, Robbie Palkert, Reece Eddins and Connor Curry all missed virtually the entire season, three of them with Tommy John surgery. Luensmann is a proven star in the bullpen, with 55 career relief appearances, 21 saves and a 2.55 ERA. Palkert has 42 career relief appearances and a 2.54 ERA, while Eddins has 46 appearances and a 3.89 ERA. All of them could see their roles change in 2019, as Erstad anticipates Luensmann, Palkert and Curry could be limited to one outing per week at the start of the year, which could make them all better suited for starting jobs. Eddins, a strike-thrower with good angle on his fastball and a good breaking ball at times, was back in action this fall and threw well. He’s a fifth-year senior who would like an opportunity to start, though he also could be an excellent fit toward the back of the pen. 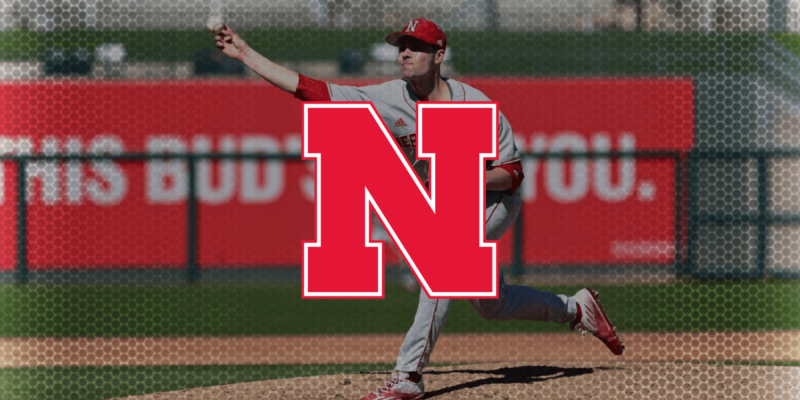 The Cornhuskers have some other experienced pitchers returning, and the nation’s No. 16 recruiting class this fall provided further reinforcements, making this staff dramatically deeper than it was in 2019. Steady senior righthander Matt Waldron, a premier strike-thrower with 29 career starts over his first three seasons, is back to help anchor the weekend rotation. Erstad said Waldron is still working to boost his velocity or find “something with a little more edge to finish people off against those upper-echelon teams,” but at least the Huskers can count on him to rack up innings and get his share of outs. His brother Mike Waldron, a former two-way player, is focusing exclusively on pitching now and should be one of the bullpen linch pins after throwing 44.1 innings over 21 appearances last year. Sam Houston State doesn’t want last season to happen again. The Bearkats passed the eyeball test and could’ve made some serious noise in the postseason. However, despite having an impressive Southland Conference record and a high-quality 39-20 overall mark, the Bearkats didn’t have their name called on Selection Monday. In essence, they didn’t do enough to impress the committee with their schedule — good record or not. So, head coach Matt Deggs is looking forward to making amends with an even more challenging schedule with series against Connecticut, Louisiana and others, while also battling name brands Mississippi State, Texas Tech and Nebraska at the Frisco College Classic the third week of the season. SHSU finished last season with an RPI of 56 and missed the postseason. Take care of business with the schedule that lies ahead in 2019 and the RPI will take care of itself. But enough about the computers and missing the postseason last year. The Bearkats have the pieces to put together yet another impressive campaign. From an offensive standpoint, the Bearkats will be young in some particular areas. However, they also welcome back several seniors, and we all know how important seniors can be when it comes to establishing consistency and reaching the postseason. Where this Bearkats team is going to make their money is on the mound. They welcome back several mainstays in the rotation, and many of those guys and others are stepping up this fall. Hayden Wesneski is a veteran who’s throwing with more velocity and authority this fall, Landon Ausley is a rising sophomore righthander who thoroughly intrigued me at a recent scrimmage. 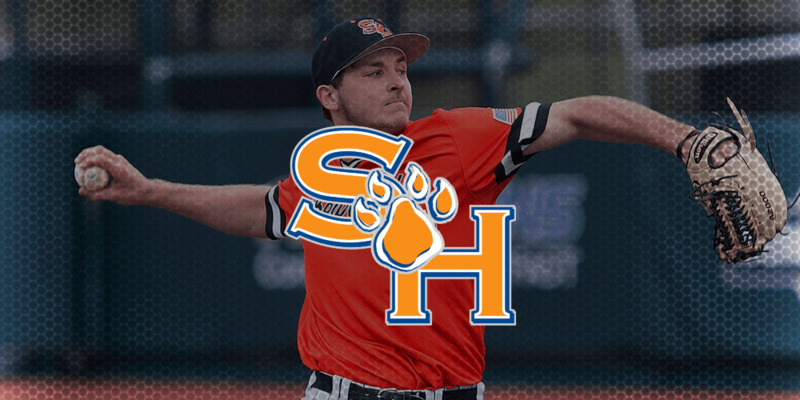 He’s another big velocity guy with a promising secondary offering, and SHSU has one of the better back-end relievers in the country in righthander Nick Mikolajchak, who also has a chance to be in the weekend rotation. Mikolajchak had already established himself as a dominant force on the mound, but he’s now added another secondary offering that could prove to be deadly to opposing hitters. There’s also a true wild card in lefthander Kyle Backhus, who has struggled over the past year or so, but who has a promising arm if he can establish better command moving forward. Nothing is set in stone for any program this time of year, but the prognosis for the Bearkats is good based on history and a quick eyeball test. Tim Tadlock is good with hunches. As fall workouts finished up last year, I spoke with Tadlock about his 2018 Texas Tech team. Tadlock typically downplays his teams. After all, he doesn’t want his team to get a false sense of who they are based solely on what happens in the fall. But he couldn’t contain his excitement. He was giddy about the team he had and thought the Red Raiders were destined for greatness unless injuries or other setbacks got in the way. A few months later, Tech had that one setback they didn’t want — All-American lefthander Steven Gingery went down with a season-ending injury. But that didn’t deter them from their goal. The Red Raiders put together a strong spring, won the Lubbock Regional and knocked off Duke in the super regional round to make the third College World Series appearance in the Tadlock era. His hunch proved right yet again. Last year’s Red Raiders club was destined to do something special. So, what’s his feeling on the 2019 club as fall workouts conclude? “I think the pieces are there for us to be a special club again, but it’s really about learning and seeing when and where that learning process shows up,” he said. “We just need to go in and get our work in each day and just make our guys understand they’re not going to be where they want to be at the end of the season on the first day of the season. We just need to put the work in. The Red Raiders are setup well from an offensive standpoint. Third baseman Josh Jung is one of the nation’s premier players and prospects, and is back in the mix. Meanwhile, Brian Klein provides stability up the middle and Gabe Holt is an electric hitter who was a terror for opposing pitchers last season. Tech also has gotten significant contributions from Cody Masters this fall. On the mound, Caleb Kilian and John McMillon continue to look like sure-fire starters in the weekend rotation, while Jake McDonald and others are making a push to join the duo.